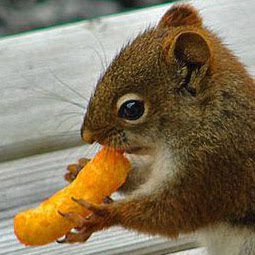 Cheetos for Breakfast: Homeschooling "Freedom"
An excellent article came up today regarding some of the controversies that have hit the fan in the more extreme arenas of the homeschooling movement and it was a call out to the movement to face these things head on and not to avoid the elephant in the room. It is an excellent post and I agree with everything the author says. I would just add two words. ". . . for some." "I’d go so far as to say we believe it is the best option." Turn that into "I'd go so far as to say we believe it is the best option for some." and I'm good. Because I don't believe that homeschooling is for everybody. I know that I may be going out on a limb here and taking some risks by saying some of the things I am about to say. Homeschooling is one of the darlings of the Christian community but, as a movement, it has been around for three decades now and should be strong enough and secure enough and wise enough and humble enough to hear these words. I must say that, in my circles, the pressure to homeschool is immense. Most families I know homeschool. Most of them are not rabid homeschoolers, the type that believe that putting your child in any school is a violation of the commands of God, but there is nevertheless a peer pressure there. I know people who have homeschooled for a few years only to decide that their children need to be in school. And they NEED their children to be in school. And that is OK. But, from what I hear, there is a sense that putting your kids in school is a sign of failure. Other homeschool moms try to talk them out of it. What is that about? From what I understand, homeschooling is about freedom. The freedom to educate your child as you see fit. And that is wonderful and I am so thankful that it is an option for families. I am all about freedom. But what started out as freedom is not about freedom any more. It is coercion. And guilt. And a very narrow definition of what it means to be a Christian family. What is true about homeschooling? What is true is that SOME parents have the appropriate skills and desire to educate their kids at home and with the various educational tools that are available outside of either a public or private school setting and THESE parents often do an excellent job. What is NOT true about homeschooling. -Homeschooling is NOT something anybody can or should do. -Homeschooling is NOT the best educational option for all children. -Homeschooling is NOT a measure of your love for your child. -Homeschooling is NOT a measure of your love for God or obedience to God. -Homeschooling is NOT a measure of your worth as a woman and as a mother. -Homeschooling is NOT the only biblical way to raise your child. Like it or not, there are a many, many organizations out there who teach these lies and there are many, many parents who believe them. These lies are crippling the Christian community and driving a wedge between parents that need not be there. These lies are producing the fruit of all legalism, the pride in those who DO IT RIGHT, and the despair in those who FAIL. What started out as freedom has turned into law.